Hi,my name is Robert. 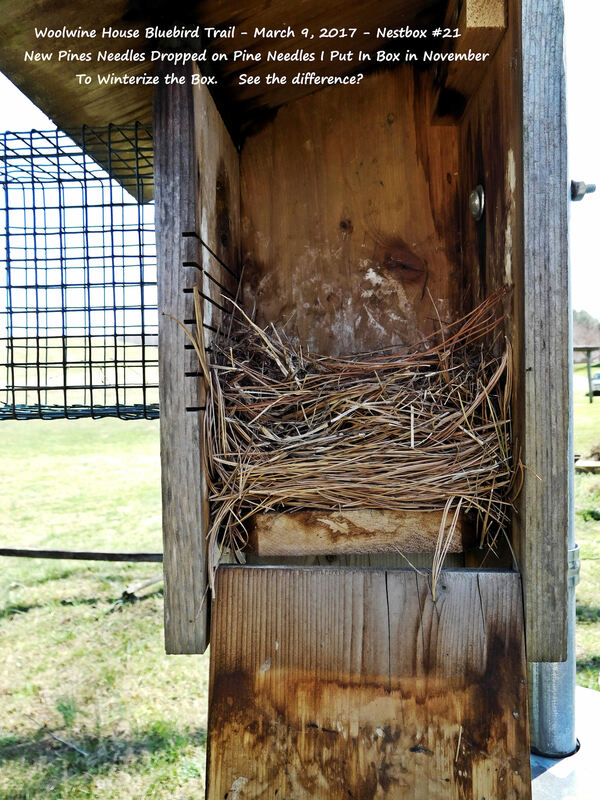 Just moved out to the country and have several bluebird nest boxes. 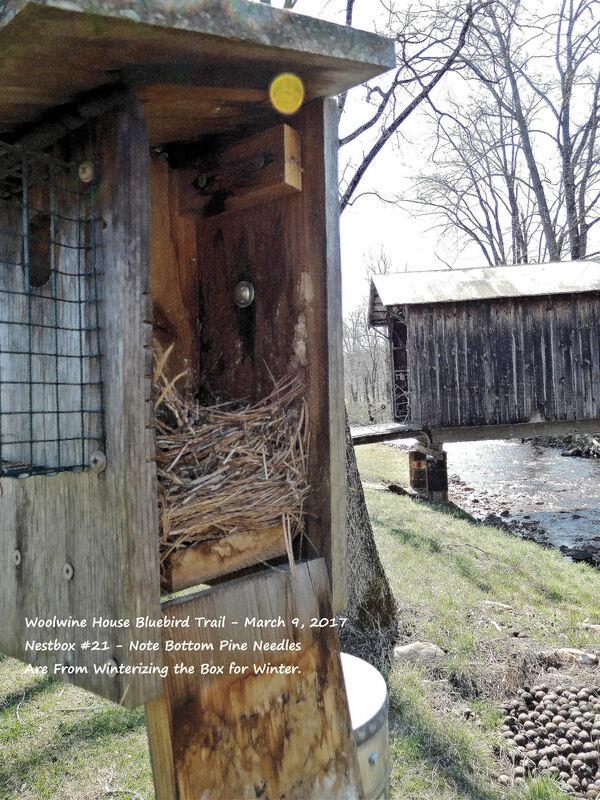 One question is why would a bluebird choose a box attached to a tree (previous owner did this) as opposed to a free standing box on a pole? Love bluebirds!!!! Bluebirds are opportunists and will nest if the female accepts the location shown to her by her mate. I have NO ISSUES of bluebirds accepting my boxes with two predator guards on poles. Tree trunk box installations are dangerous to the nesting family as it’s a highway to lunch or dinner to many predators. NOT RECOMMENDED! I am relatively new to burding. I have up 2 boxes. The first i call the Condo….it has 4 eggs in it…but seems to have been abandoned. No activity. The 2nd box I called the Green House….lots of activity…Mom & Dad in & out lots. Mom spends a good deal of time on the nest with her head poking out the entrance hole. When i looked inside a week ago I couldnt see eggs. Are they usually visible or hidden deep in the nest? How safe is it to look inside? Please direct me to info concerning when & how to clean a box. TY for sharing….pics are gorgeous & info helpful. Other birds species can remove competitor birds eggs and young. Sometimes they are buried inside the nests. Chickadees put hair over their eggs to hide them until incubation starts. We have a 40 acre farm in KY and I would like to add a bluebird trail. Can you recommend any books or information on how to start one? We have some bluebird houses out but I’ve never monitored anything (new to this). Thanks Christine for sharing. 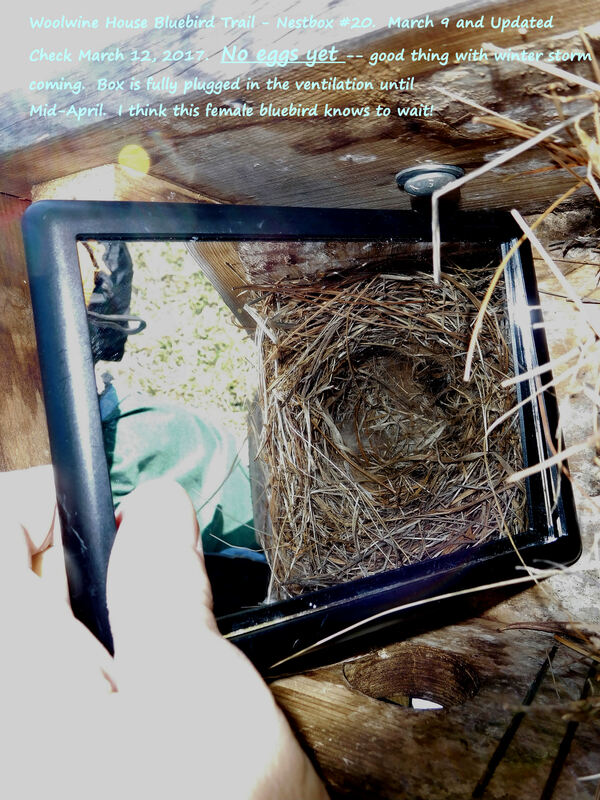 Seeing your nest boxes is getting me excited, cannot wait to see the bluebirds return here in Pa. I generally get them around April to start building here in PA. Nice hearing from you. Hi, Harry! It is ALWAYS a pleasure to hear from you, sir! Wishing you the best this year. Hope to keep in touch, too!